First Aid booklet used by Special Constable Alex Mackay; 16 pp. with grey card cover. 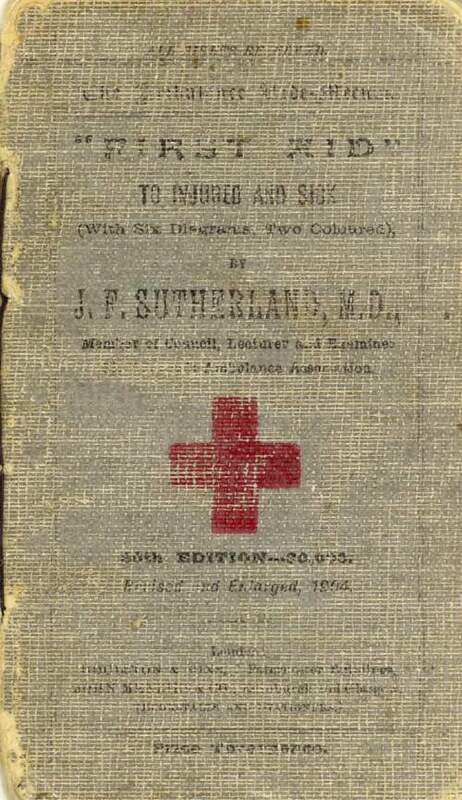 Title "First Aid to injured and sick" by J.F. Sutherland, MD, with illustrations.